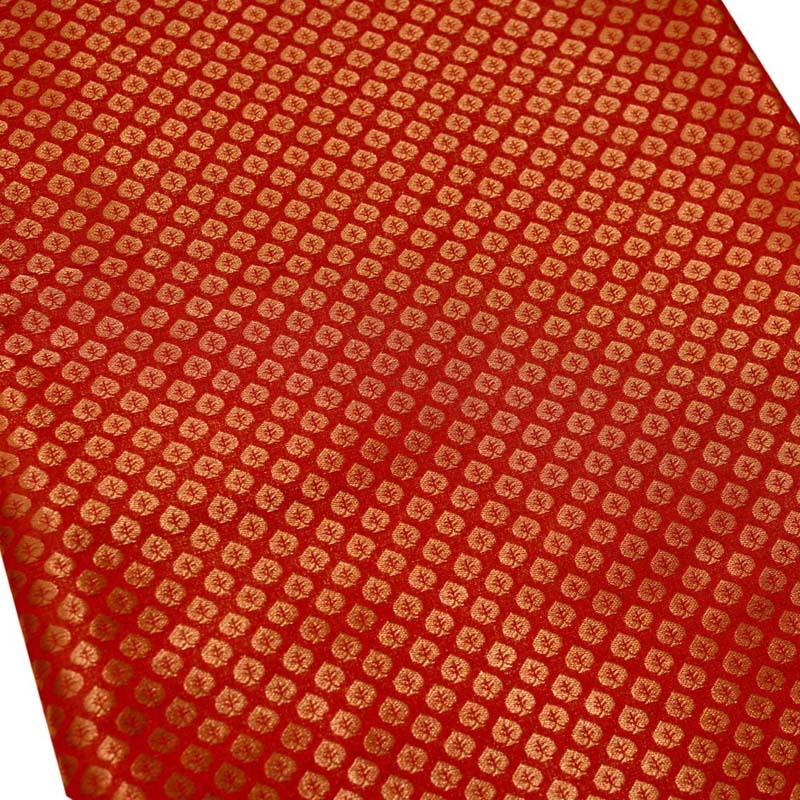 This Blood Red and Golden Floral Brocade Silk Fabric by the yard is made from Brocade Silk Fabric. 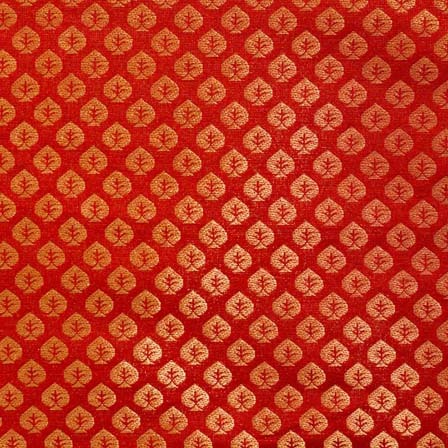 Color of this Fabric is Blood Red and Golden. It is 110 centimeter or 44 inches. It is recommended to dry clean only.. 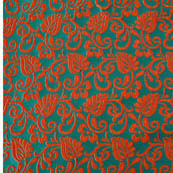 This Green and Red leaf-flower brocade silk fabric-4624. Width is 110 centimeter or 44 inches and Length is 100 CM or 40 inch. It is recommended to dry clean only..
- Colour- Green and Red .Slight difference in color from the visible product image is possible. Pink and silver cone shap.. 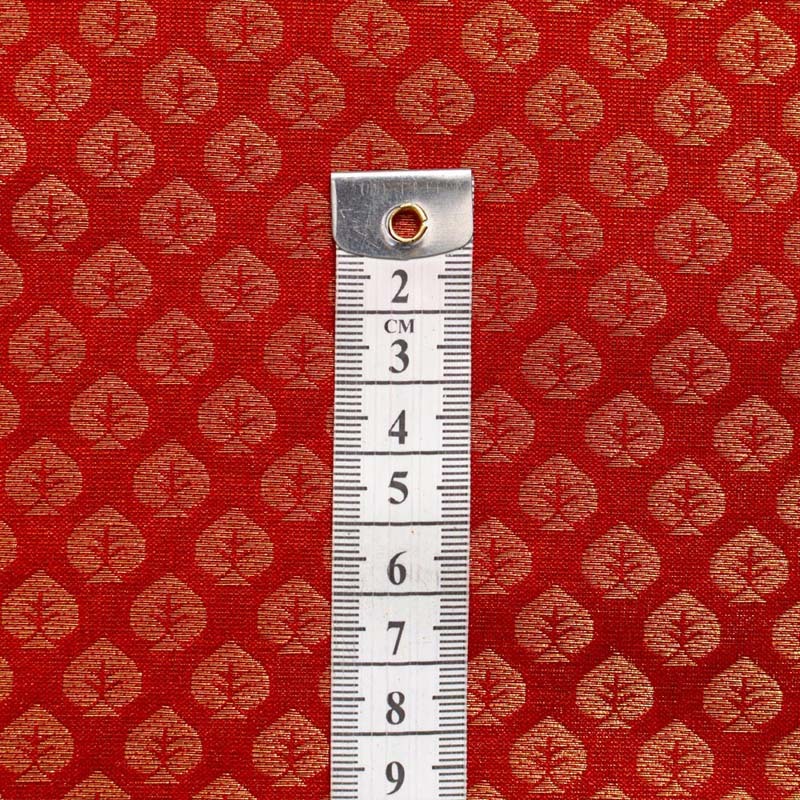 This Pink and silver cone shape brocade silk fabric-5017 is made from Silk Fabric. Color of this Fabric is Pink. Width is 110 centimeter or 44 inches and Length is 100 CM or 40 inch. It is recommended to dry clean only..
- Weight- Approx 110 grams- per meter. - Colour- Pink and Golden .Slight difference in color from the visible product image is possible. - Ready stock. It can be delivered within 4-6 days in Indian and in 10-15 days in Out of India. 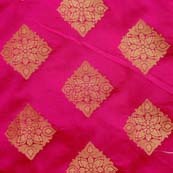 This Magenta and Golden Triangle Flower Brocade Silk Fabric by the yard is made from Brocade Silk Fabric. Color of this Fabric is magenta and Golden. It is 110 centimeter or 44 inches. It is recommended to dry clean only..
Royale Green and golden c.. 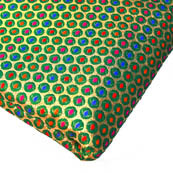 This Royale Green and large golden circle shape brocade silk fabric-4636. Width is 110 centimeter or 44 inches and Length is 100 CM or 40 inch. It is recommended to dry clean only..
- Colour- Green and green .Slight difference in color from the visible product image is possible. 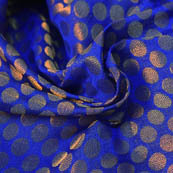 Blue and Golden Polka Des..
-If you purchase more than 1 Meter you will get it in running length, not in pieces. Yellow and Brown Paisley .. 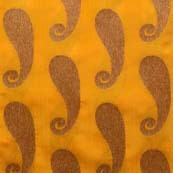 This Yellow and Brown Paisley Pattern Brocade Silk Fabric by the yard is made from Brocade Silk Fabric. Color of this Fabric is Yellow and Brown. It is 110 centimeter or 44 inches. It is recommended to dry clean only. - Uses - Wedding Dresses, Blouses, Fashionable Jackets, Craft products, Embellish your clothes, Home Decor items like cushions, pillow, Upholstery etc. - Weight- Approx 150-200 grams- per meter. - Colour- Yellow and Brown .Slight difference in color from the visible product image is possible. Pink and Golden Floral Pa.. 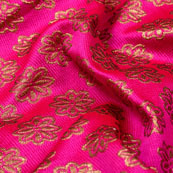 This Pink and Golden Floral Pattren Brocade Silk Fabric-5341 is made from Silk Fabric. Color of this Fabric is pink and Gold. Width is 110 centimeter or 44 inches and Length is 100 CM or 40 inch. It is recommended to dry clean only..
- If you purchase more than 1 Meter you will get it in running length, not in pieces. 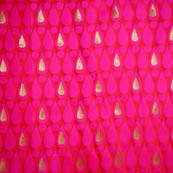 - Colour- pink and Gold .Slight difference in color from the visible product image is possible. - Ready stock. It can be delivered within 5-7 days in India and in 10-15 days in Out of India. 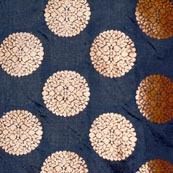 This Black and Golden Circular Pattern Brocade Fabric-4276 is made from Silk Fabric. Color of this Fabric is Black, Golden. Width is 110 centimeter or 44 inches and Length is 100 CM or 40 inch. It is recommended to dry clean only..
- Colour- Black, Golden .Slight difference in color from the visible product image is possible. Green and Golden Polka Pa..
Blue and Golden Flower Pa.. 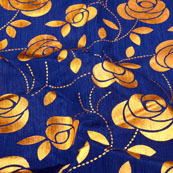 This Blue and Golden Flower Pattern Brocade Indian Fabric-4294 is made from Silk Fabric. Color of this Fabric is Blue, Golden. Width is 110 centimeter or 44 inches and Length is 100 CM or 40 inch. It is recommended to dry clean only..
- Colour- Blue, Golden .Slight difference in color from the visible product image is possible. Blue and Golden Leaf Patt.. 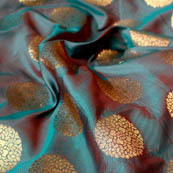 This Blue and Golden Leaf Pattern Brocade Silk Fabric-5397 is made from Silk Fabric. 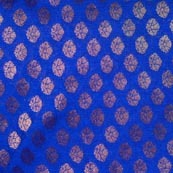 Color of this Fabric is Blue and Gold. Width is 110 centimeter or 44 inches and Length is 100 CM or 40 inch. It is recommended to dry clean only..
- Colour- Blue and Gold .Slight difference in color from the visible product image is possible. Orange and Golden Gota Pa.. 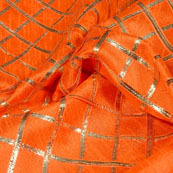 This Orange and Golden Gota Patti Square Shape Brocade Silk Fabric-5427Orange and Gold. Width is 110 centimeter or 44 inches and Length is 100 CM or 40 inch. It is recommended to dry clean only..
- Colour- Orange and Gold .Slight difference in color from the visible product image is possible.